Living Sq. Ft. : 1464 s.f. Total Sq. Ft. : 1658 s.f. 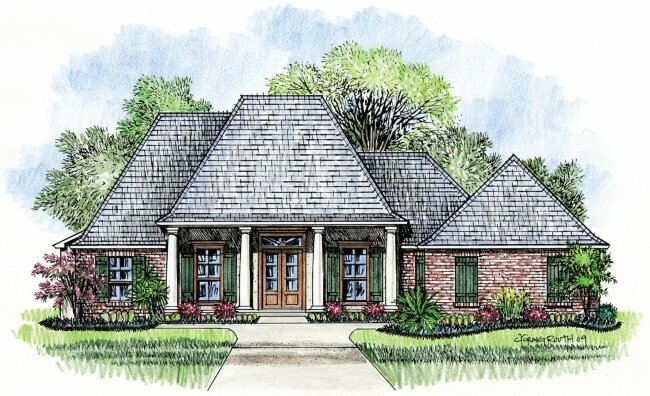 The Waverly is a simple beauty that is reminiscent of the traditional Southern Louisiana Cottage house plans found along the Mississippi river. 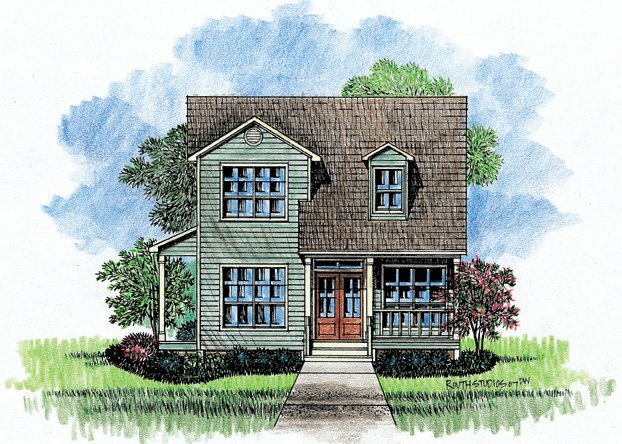 The house plan features a large 14’ x 17’ 6” family room with fireplace and pillars that divide the dining room. Your kitchen has a large, under-the-stairs pantry with an angled center island and bar. This is a two story home with the entire upper floor reserved for the master suite. The suite features a walk in closet and whirlpool tub. 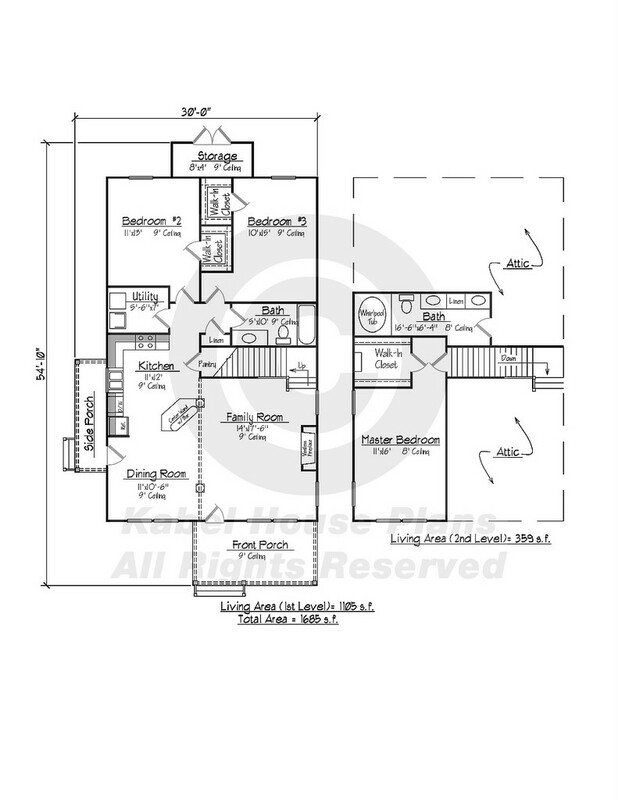 The other two bedrooms are also well sized, and both feature walk-in closets. 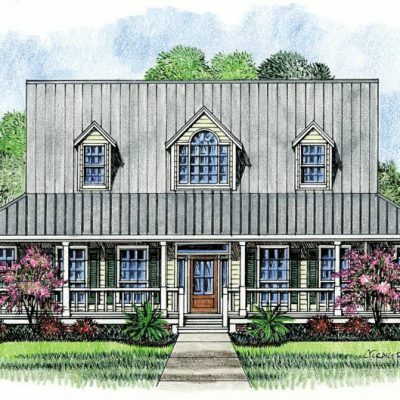 The house is enhanced with a front and side porch to sip your favorite drink from and a rear storage area for all of your outside accessories. 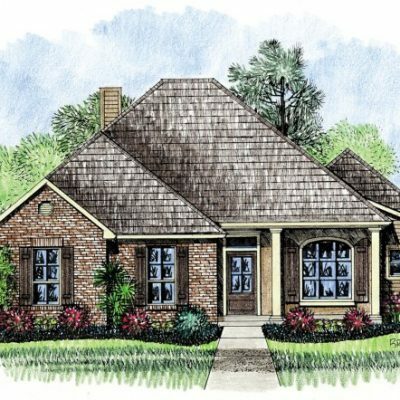 Continue the tradition of fine Southern Louisiana homes with this Cottage house plan.